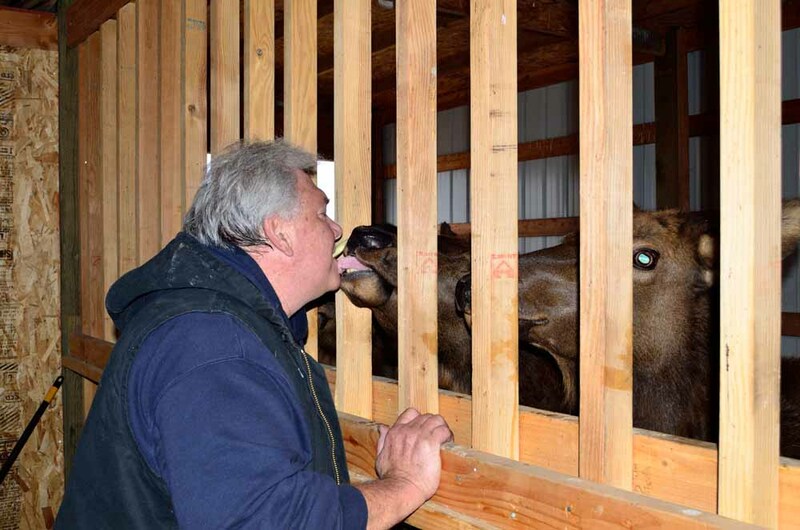 When we were in Idaho we met a rancher named Jerry at the Boise Farmers’ Market who raises elk. 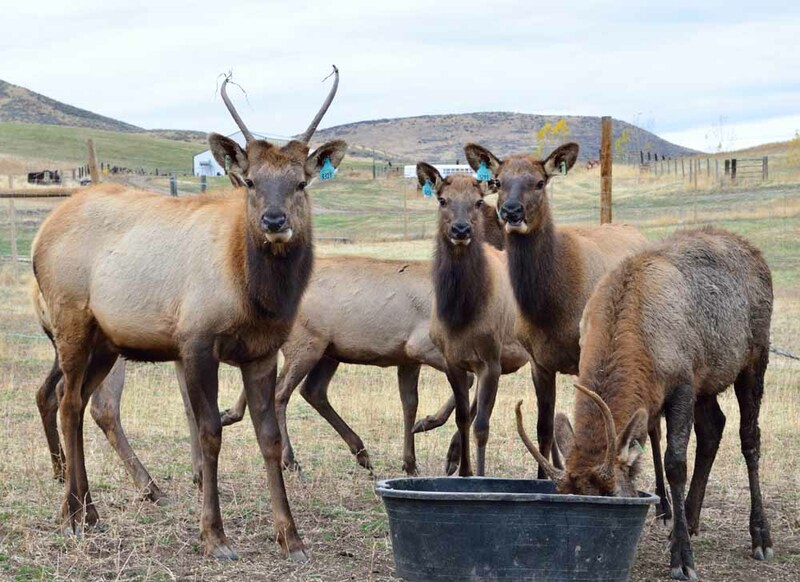 We got invited out for a tour of the ranch, which is called Timber Butte Elk Ranch. 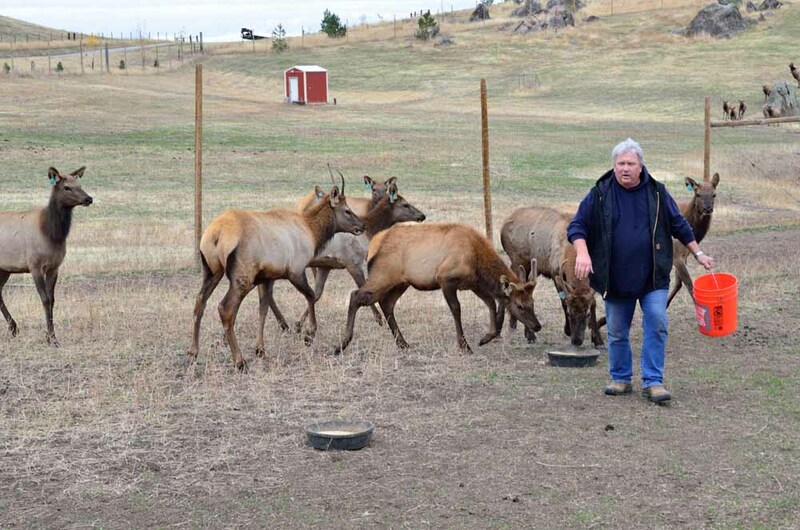 The elk rancher has two male elk, called bulls, and 46 female elk, called cows. He is hoping to expand his herd to around 120 elk. 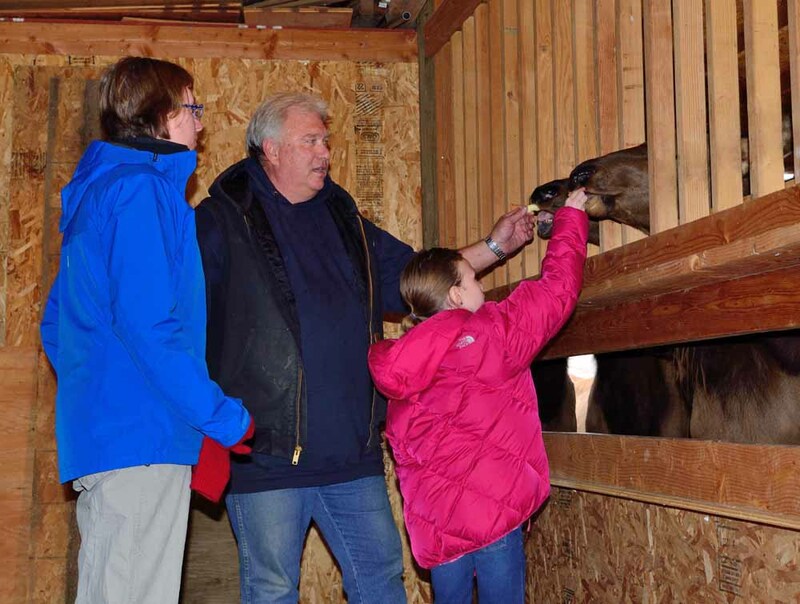 We got to feed the elk apple slices and tour where they live. Jerry told us the story about how he had been working with one of the baby elk, called a calf, while the mother was on the hillside. Then suddenly, the mother ran toward it’s baby. Jerry thought that the mother was coming for the baby, but it wasn’t. It had seen a kitten and chased it down and stomped on it, which killed it. So, elk can be really dangerous, especially if you are a kitten. Elk are easily spooked by cats, as cougars and wolves are their natural predators. Now you know all about elk. Great writeup! I learned a bunch of stuff about elk that I didn’t know! great story Sydney! I look forward to hearing more about your adventures! Way to go girl! 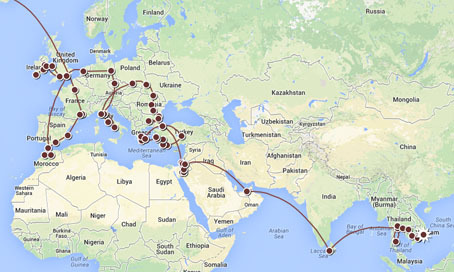 Love your posts and the “facts I learned about…” concept. Keep writing! And most important… have fun with it! This post was very well-written! 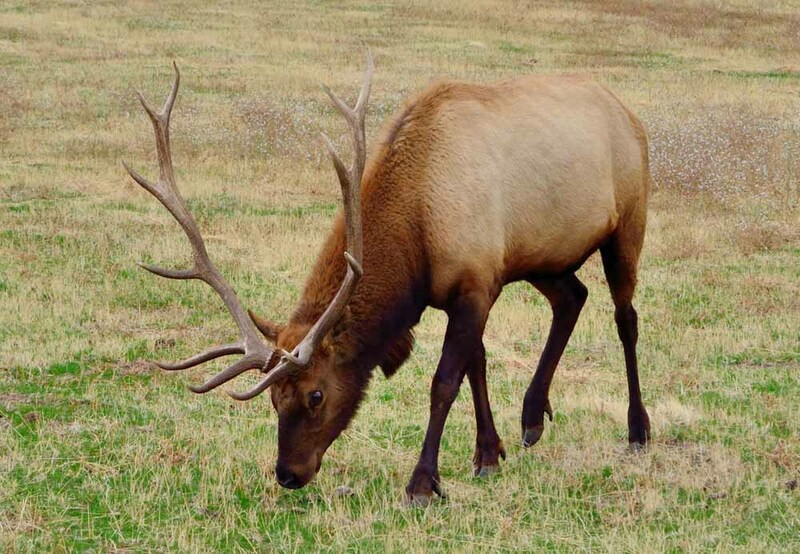 Good job and you provided a lot of good information about Elk for your readers. Too bad about the kitty though! Thank for the great information on Elk. But I must say the kitten demise was very disturbing. Hope your trip is going well.